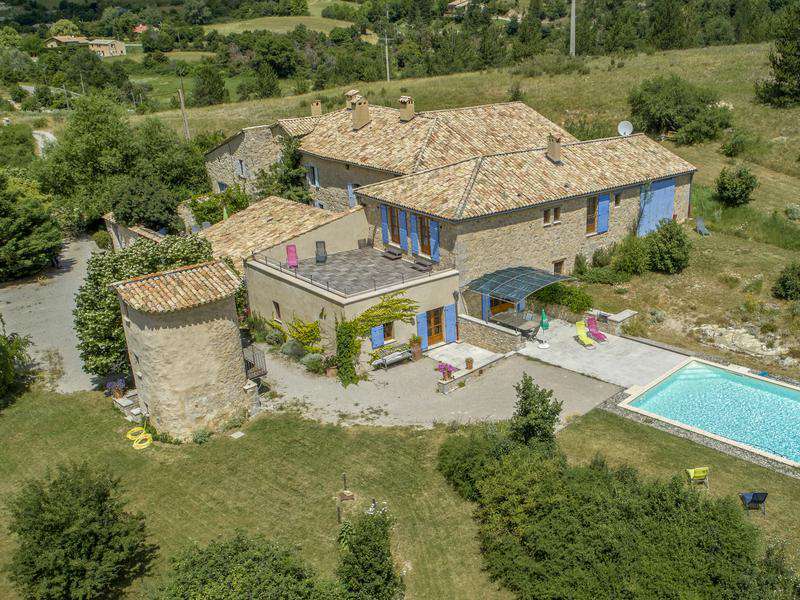 Beautiful eight bedroom property, full of character and charm in the Les Omergues area of Alpes de Haute Provence, with gite, income opportunities, swimming pool and a fascinating history as a Former Knight's Templars domain. 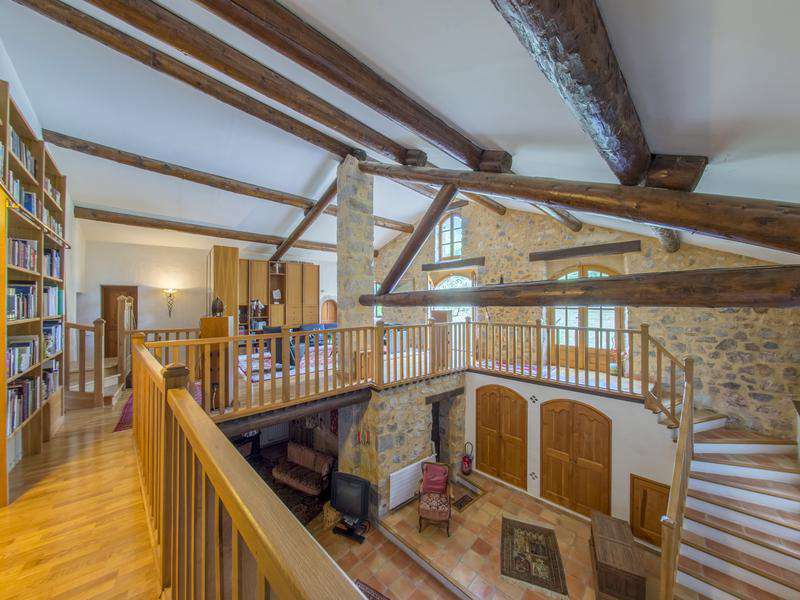 This spacious stone property dates back to the Twelfth Century and has been tastefully and thoughtfully renovated throughout to combine historic character with modern comfort, with living space of 555m2. The first part of the renovation was completed in 1998 and the gites area was finished in 2008. 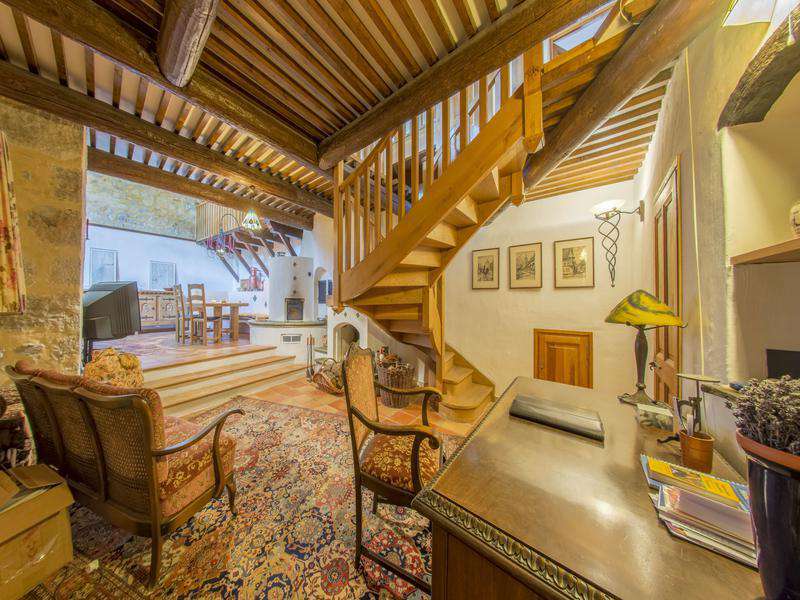 Set in 5 hectares, the building was progressively transformed until the 19th century. A first two-level habitable space is 330m2 and includes a kitchen, a dining room, a large living room, a library on the mezzanine, 4 bedrooms and various utility rooms. 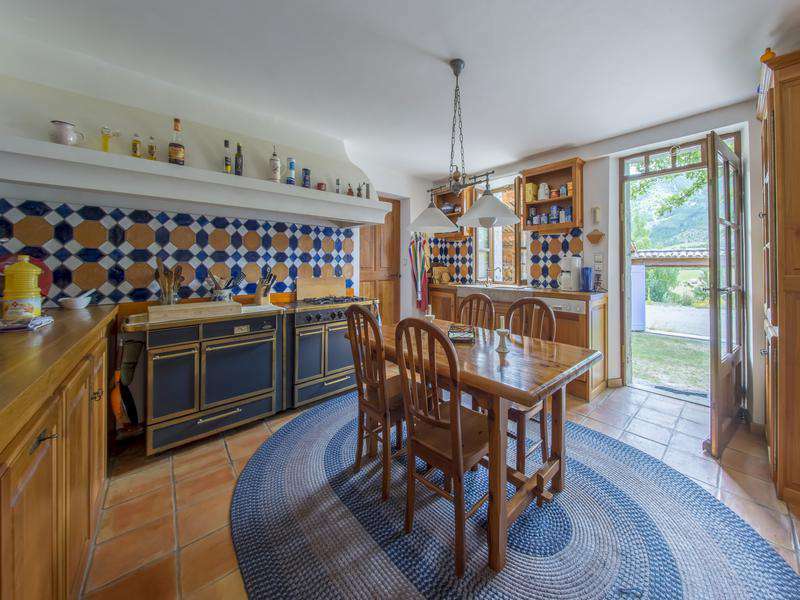 The second part, used as a B & B business comes with 200m2 and includes 3 en-suite bedrooms, a sauna, a large living room and open plan kitchen with vaulted ceilings at garden level. 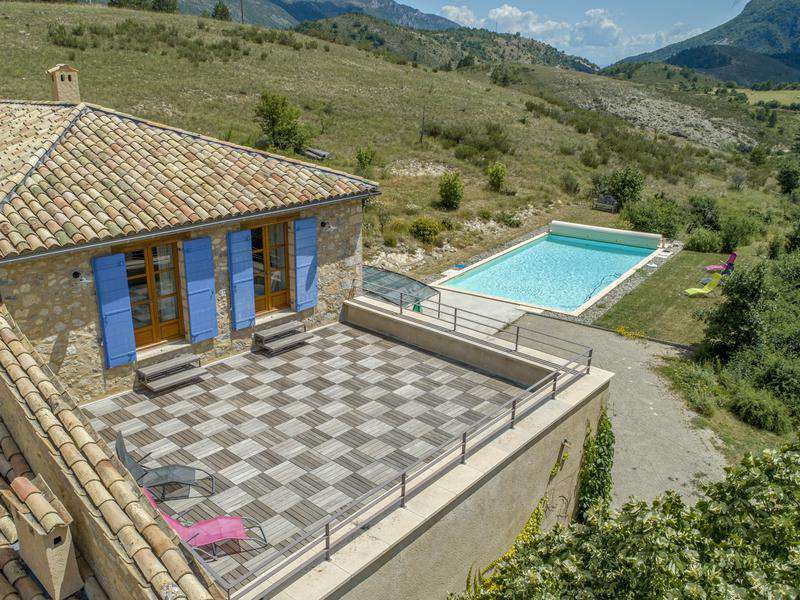 The exterior of the property includes an old and entirely renovated pigoniere, offering a 25m2 habitable space, a 15x6m heated swimming pool and a 200m2 courtyard with a 60m2 covered area. 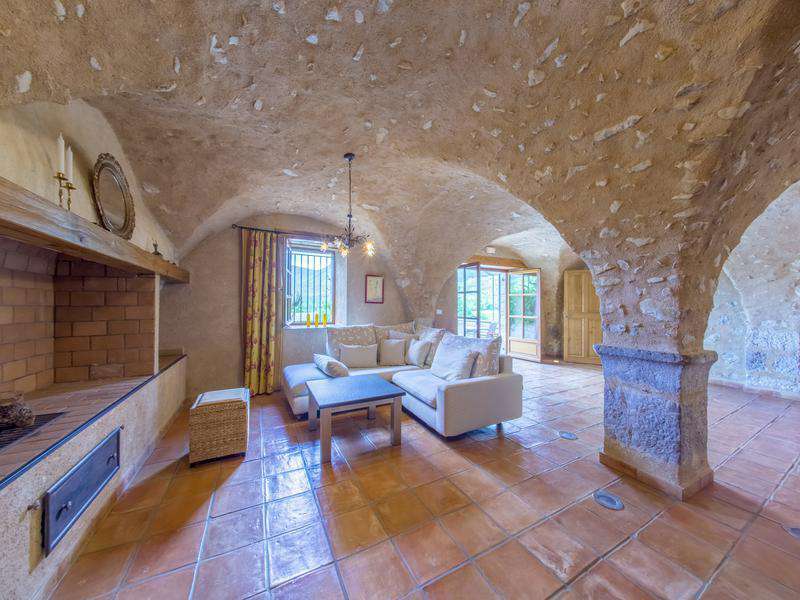 The house also includes a garage with spare available space above and also a part of the barn. The house is heated throughout by a heat-pump system. 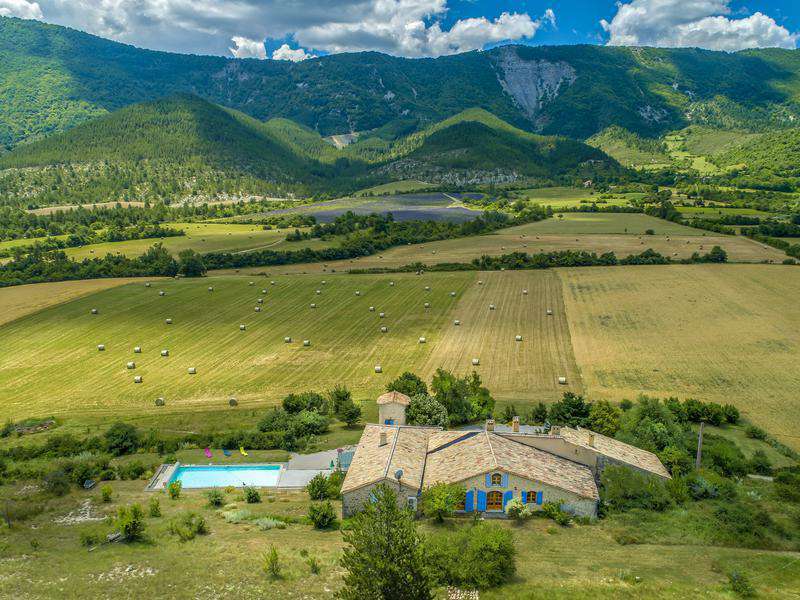 Located on the very edge of the "department" next to the Drome is Les Omergues, a very small unpretentious farming village. It has two streets lined with simple houses with dash finish, plus some chicken runs and vegetable gardens and occasionally a terrace with Virginia creeper. It is cooled by the Jabron, which here is quite small, and the view of Mont Ventoux is breathtaking. This village's heritage is nature itself. 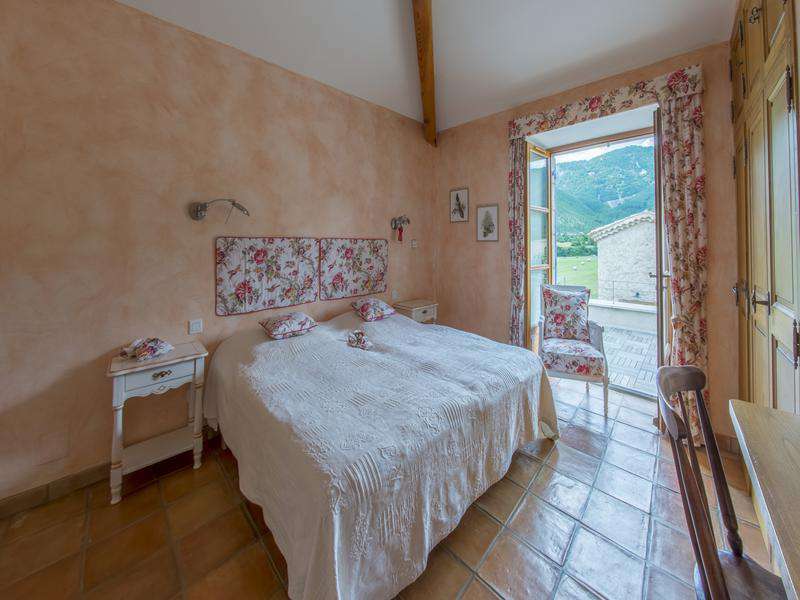 Les Omergues nestles in the shade of large lime trees, chestnut and cypress trees and weeping willows. Leisure activities: Walks, cycling and mountain biking (mountain bike rental). Horse riding. Sederon swimming pool. Fishing, Bathing.